Uncategorized | New Creation Inc.
Who doesn’t love something shiny? This month we are focusing on one of New Creation’s favorite techniques, foil printing. 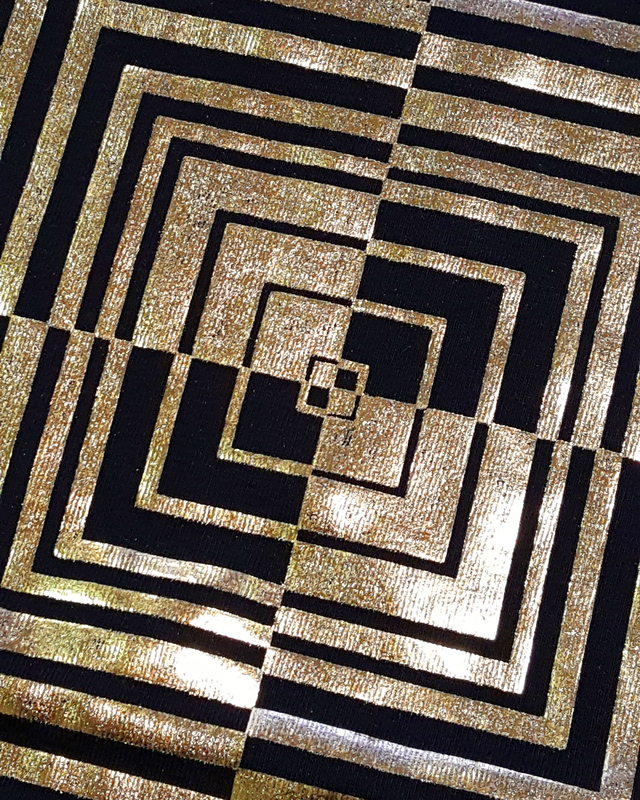 Foil is extremely popular with our t-shirt customers but is often used on higher-end garments to add an extra touch of glam. The desired image is burned into a screen but instead of printing ink, a clear adhesive is applied. While the glue is still wet, a sheet of foil is applied on top. The foil is then adhered to the glue using our heat press. The excess foil is removed and you’re done! Foil comes in a wide variety of colors, finishes, and patterns. Your design possibilities are endless! Below are just a few of our recent foil designs. This is our classic gold foil on a black tee. Foil works well in geometric designs because it is easy to get clean, sharp lines. 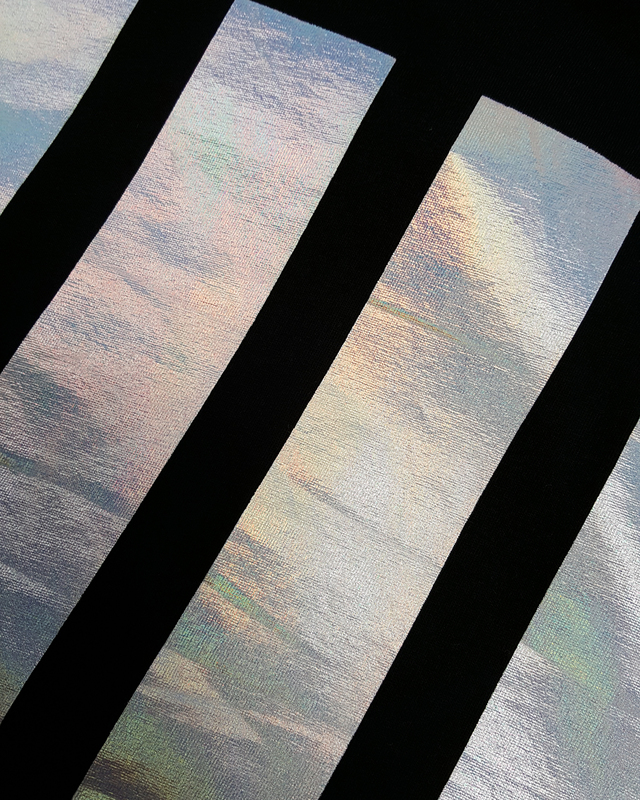 Iridescent foil is a customer favorite for juniors’ and young men’s tees. This unique color option is sure to make any design stand out no matter how simple. This is an example of our gunmetal foil. This color is particularly cool because it looks very much like actual metal. It’s perfect for more masculine or streetwear types of garments. 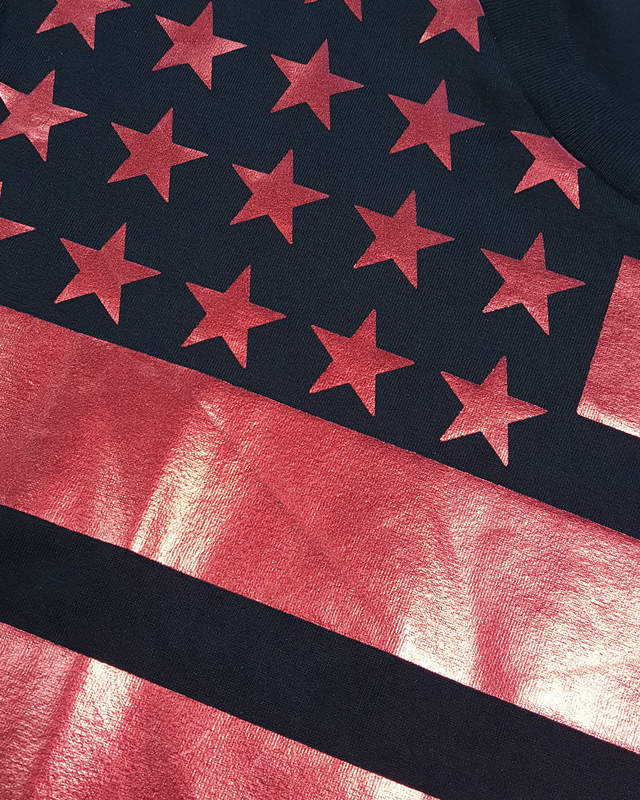 This is an example of red foil used on a dark navy tee. Although the graphic is quite simple, the colored foil helps to elevate the design to look much more expensive and interesting. 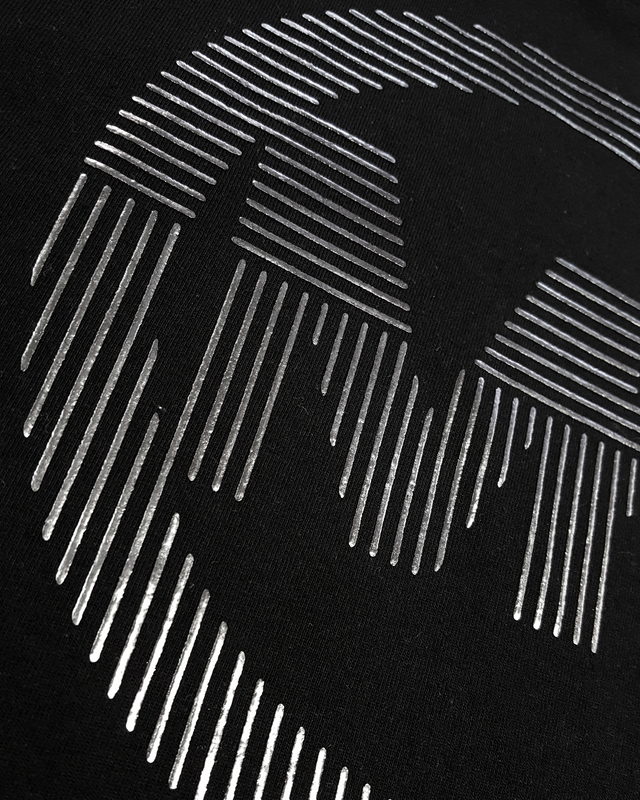 Sometimes foil doesn’t take center stage and can simply act as an accent to a screen printed design. 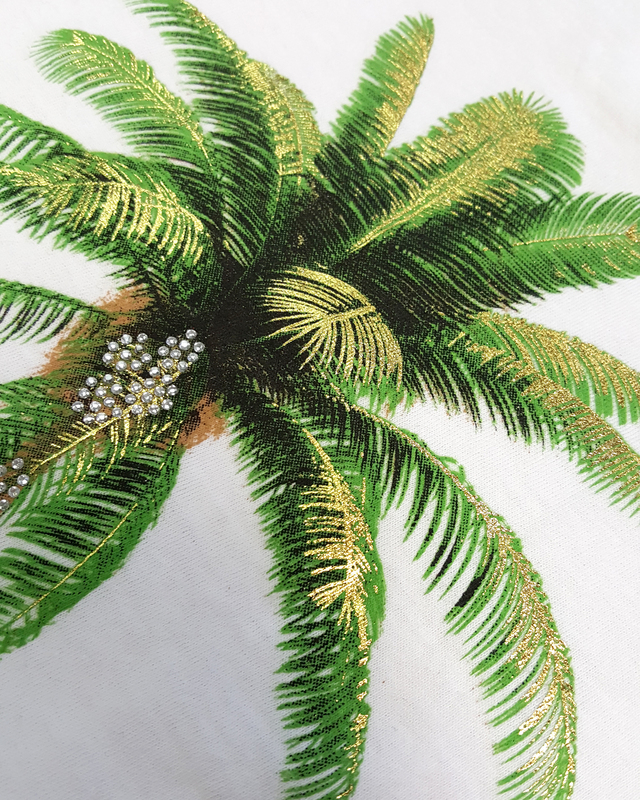 The highlighted areas of the palm tree are done in gold foil and make the design much more of an eye catcher than just standard soft print. The colors and design options for foil are endless. Everyday we are using this technique in new and interesting ways. We look forward to designing something for your next garment or brand. Contact us today!